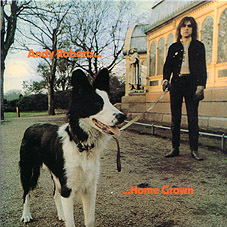 Fans of Andy Roberts HOME GROWN album, released in the early 1970's, don't need reminding just how good this record is. The album contains some absolute gems, including Applecross, Moth & Lizards in Detroit, Queen of the Moonlight World and The One-Armed Boatman & the Giant Squid. 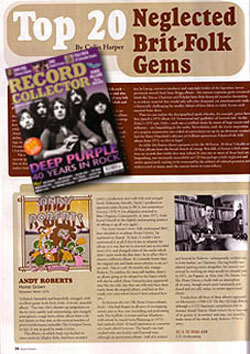 However the Christmas 2004 edition of Record Collector, labelled the album one of the UK's Top-Twenty Neglected Brit-Folk Gems! In between the two UK Home Grown releases, Andy - who had fingers in all sorts of overlapping artistic pies at that time (recording and performing with The Scaffold, Grimms, and Ian Matthews - with whom he would form Plainsong in 1972) - has endured a brief, ill-fated experience as a member of a band called Everyone. The band's van had crashed with one fatality and financial ruin, although an eponymous album - half of it written and fronted by Roberts - subsequently trickled out, to little fanfare, on Charisma. Having briefly considered quitting music altogether, his interest was revived by working on what would be released later in 1971, on Pegasus, as Nina and the Dreamtree - like Home Grown, a work with an atmosphere all its own though much more luxuriantly produced and yet still, today, an under-appreciated classic.